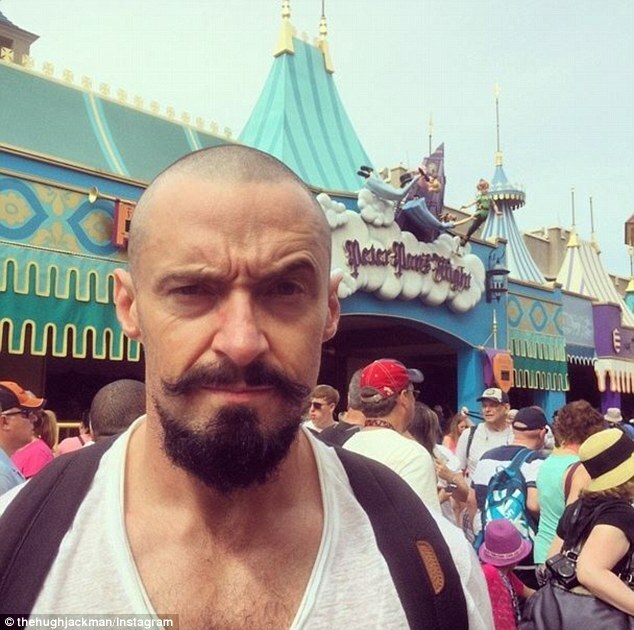 Here’s a statement you can’t really disagree with: Hugh Jackman is the ultimate man. Guys and girls of all ages and backgrounds seem to love him, and we can completely see why. To begin with, he’s supposed to be the nicest man in Hollywood. Which is always a bonus. Oh, and he can also pull off long hair, a bald head, a beard and a disturbing goatee. That’s something for everyone to be impressed with. …or, at least, if he is, it’s not obvious. He’s been playing the part of Wolverine in X-Men since 2000, and has announced that his final outing in the claws will be in 2017. That will have been 17 whole years that he’s dedicated to our favourite claw-handed superhero. For his role as Wolverine, Hugh decided to study martial arts – but he may have pulled off more than he could chew. He’s famously had his fair share of Wolverine-related injuries on-set. He’s had his, uh, lower area caught up in his harness, his right ear smashed by a camera and his thigh stabbed by his claws. What a guy. And that’s just the tip of the iceberg. Understandably, his wife wasn’t overly happy with all the near-misses. She’s even made him promise to use his stunt double more. …and he’s not afraid to use them. As a Broadway performer, Hugh’s a comfortable singer both off and on stage. He gave his vocal chords an outing on the big screen in Les Misérables, and he loves a bit of karaoke (see below). Wow. We would definitely pay good money to see Hugh as Sandy. Not only does he have two pups (called Allegra and Dali), but he’s regularly seen walking them and cuddling them. And if he’s not doing that, then he’s talking about them. And he even has cute little booties for them! But how can a top Hollywood star bear to be away from his dogs? Thank the lord for Skype – Hugh has admitted that he often Skypes his pups when he’s away from home. How cute can you get? As well as having two adopted kids with his wife, Hugh is also close to his parents. This snap of him with his dad makes us feel all fuzzy inside. Yep, definitely sounds like a man after our own hearts. Sure, Hugh loves special outings. But he’s painfully aware of what really matters in life. I mean, replace ‘coffee’ with ‘tea’ and we would basically be the same person. Last up on our list on why Hugh Jackman is the ultimate man is probably one of the most important points. Over the years, Hugh has supported more charities than we’ve ever heard of. In 2009 he announced on Twitter that he would donate $100,000 to an individual’s favourite non-profit organisation (it ended up being split between Charity:Water and Operation of Hope). He’s also raised over $2million from curtain calls at Broadway performances. And that’s not to mention his support for microcredits, Global Poverty Project and Australia’s Bone Marrow Institute. Phew.